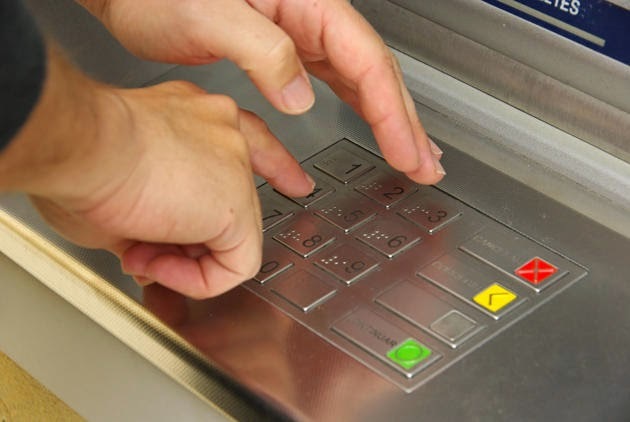 According to RBI regulation All new ATMs to be installed by banks from July 2014 onwards would provide audible instructions and Braille keypads to customers. The RBI's directive today came on its prior advice to banks in 2009 to make bank branches and ATMs accessible to people with disabilities and make at least one-third of the new ATMs installed as talking ATMs with Braille keypads. Banks should lay down a road map for converting all existing ATMs as talking ATMs with Braille keypads and the same may be reviewed from time to time.RBI also asked banks to make necessary arrangements to provide all existing ATMs/future ATMs with ramps so that wheel chair users/persons with disabilities can easily access them. Further, RBI also asked banks to provide the facilities of magnifying glasses at all bank branches for the use of persons with low vision.